Whenever you happen to crave for authentic mouthwatering Ghanaian dishes or homely food but without the bother of cooking, clearing, and washing up, then Living Room Restaurant offers the best solution. In a stylish property full of good African vibes, Living Room Restaurant can be found in East Legon right behind the famous AnC building. 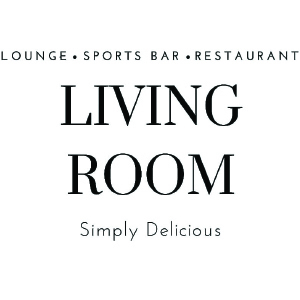 Living Room Restaurant offers customer nothing but the perfect dishes when it comes to good food prepared under excellent hygienic conditions. The ingredients, cooking methods and energy with which Living Room Restaurant applies into feeding their customers extend beyond nourishment, with their culinary skills reflecting different beliefs, traditions and habits. Traditional Ghanaian food made by Living Room Restaurant is typified by the distribution of food crops. With the prominence of tropical produce like corn, beans, millet, plantains and cassava, the restaurant creatively employs these foodstuffs to make mouthwatering dishes for the nourishment of customers. Here are some local dishes the restaurant uses to introduce the scope of local Ghanaian food. •	Banku and Tilapia When you see fish being grilled on the streets of Accra, it is most likely to be tilapia, a delicacy among Ghanaians, who spice then grill the succulent freshwater fish. It complements banku, a southern mix of fermented corn and cassava dough, and very hot pepper, diced tomatoes and onions. Banku is one of the main dishes of the people who live in Ghana. •	Jollof Rice Originally from Senegal, jollof is a pot dish of rice prepared with tomato sauce and served with meat or fish that stirs up plenty of interesting debates online. The rice soaks up the juicy flavors and turns orange when cooking and is national favorite that can be found in most restaurants including Living Room and sold at an amazing price that suits every pocket. •	Waakye Waakye is another food that exhibits Ghanaians’ creative use of rice. This recipe is a medley of beans and rice and was originally a Northern dish, but it can now be found almost everywhere on the streets of Accra. Eating waakye will open the door to a range of Ghanaian tastes and flavours as the main dish is served with other sides such fried plantain, gari(grated cassava), spaghetti and avocado. •	Red red Red red is a filling traditional dish that consist of cowpea beans boiled to make a broth, served with palm oil and soft fried plantains. It is one of the Ghanaian dishes that doesn’t use a lot spice because the main taste comes from the ingredients it is served with. It can also be dished up with gari to make it even more hearty. Red red is also a perfect choice for vegetarians as no animal products are used. •	Fufu and goat light soup In the eastern and Ashanti regions of Ghana, one meal guaranteed to work its wonder is fufu and goat light soup, the proud dish of the Akan. Fufu is a staple food across West Africa but in Ghana, it is made by pounding a mixture of boiled cassava and plantains into a soft sticky paste to go along with aromatic and spicy tomato soup. Fufu can also be found in Northern Ghana, although it is made with yam in this region.